But here is what D’Addario is missing. Some of the most successful movies of the last decade were about war; they just didn’t come right out and say it. They hid their true subjects behind superheroes, wild comic creations, and science fiction; they were forced to create allegories to address the issue of war because these wars never seemed quite real to most Americans. Unlike in the Vietnam Era, there is no longer a military draft, and American citizens – except those who served or have family members who did – were never asked to make real sacrifices. At least not yet. The Vietnam-era films that D’Addario cites in his piece – Apocalypse Now and The Deer Hunter – were both released after the war had ended, and well after the draft was instituted. Many earlier films did reflect the violence and despair of Vietnam – such as Bonnie and Clyde and revisionist Westerns like The Wild Bunch and Jeremiah Johnson – but they did so in other coded settings. For most of us, the wars in Iraq and Afghanistan – and that amorphous thing called the War on Terror – reached us only in sanitized form. They seem distant, esoteric, perhaps even irrelevant to our daily existence. It was not until 2009 that the U.S. even lifted its ban of photos of flag-draped coffins of dead service members. And so the great war films of the last decade have had to obfuscate their true subjects to appeal to mainstream tastes. Still, as you will see from the examples below, some of their directors couldn’t help but reveal their intent. Author Suzanne Collins, who wrote the series of books that inspired the film and its upcoming sequels has not been shy about citing the War in Iraq as an inspiration for her books, which follows the story of several teenagers who are forced by their government to fight to the death. She says she was home one night, flipping between coverage of the Iraq War and American Idol, when inspiration struck. 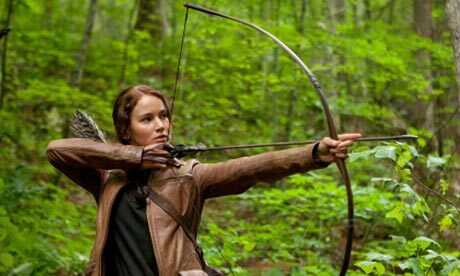 The Hunger Games became a phenomenon, and its politics were the subject of much debate, as both the left and the right tried to claim the film as their own. Collins has always stated a non-partisan goal: to dramatize the ways in which we are desensitized to war as a society. She has said that for the “young soldier dying in the war in Iraq, it’s not going to end at the commercial break. It’s not something fabricated, it’s not a game. It’s your life.” The Hunger Games resonated deeply with audiences, grossing over $400 million in North America. Although Sacha Baron Cohen’s most famous comic creation is from Kazakhstan, he has always existed in the milieu of our wars in the Middle East. 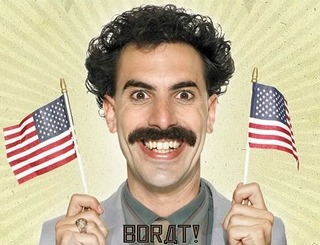 Borat never reveals his religion (even when asked), but 70 percent of the population of Kazakhstan follows Islam. Even so, the most memorable traits of his character – his misogyny, anti-Semitism, and all around backwardness – are most commonly associated with stereotypically negative views of Islam in post-9/11 America. Most of the jokes in the movie have nothing to do with Borat’s religion, but it is lurking beneath the surface of his Otherness. This may perhaps be why the movie’s most effective satirical moment comes when Borat riles up a crowd at a Kentucky rodeo with alarmingly jingoistic remarks (“May George Bush drink the blood of every single man, woman and child of Iraq!”) before launching into an off-key rendition of the Kazakh national anthem. 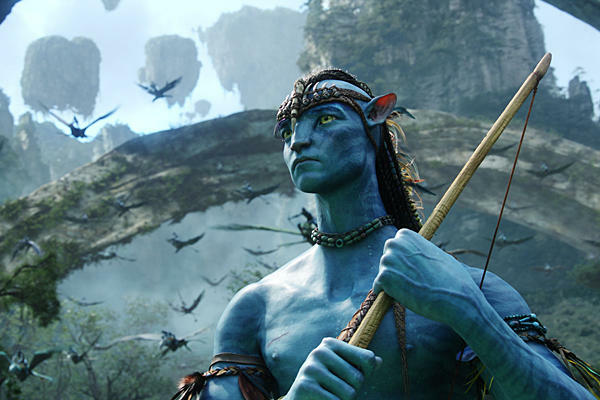 The film was a surprise smash, grossing $128 million domestically. These two occupy one space on this list because they both address similar issues – the executive overreach of the Bush administration in its prosecution of the War on Terror. The hero of the Bourne movies – particularly the latter two, directed by the liberal Paul Greengrass – was an icon for those who felt betrayed by the Bush administration in their rush to war. 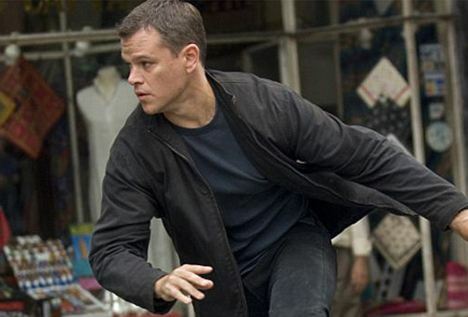 Jason Bourne (played by Matt Damon, whose liberal politics are known to all) was tracked across the globe by a militaristic intelligence agency with new surveillance methods that seemed to reflect the expanded power authorized by PATRIOT Act. By boat, by car, or by foot, the CIA never had a problem tracking their man, and the mood of the film echoed the paranoia thrillers of the Vietnam Era such as The Parallax View and Three Days of the Condor. “I’ve heard it’s pro-war and that it’s anti-war, which means that I did my job.” That’s what Iron Man director Jon Favreau said about the film’s politics at the time of its release. Regardless of his aspirations to merely entertain, the hugely successful superhero film clearly had anti-war ideas. 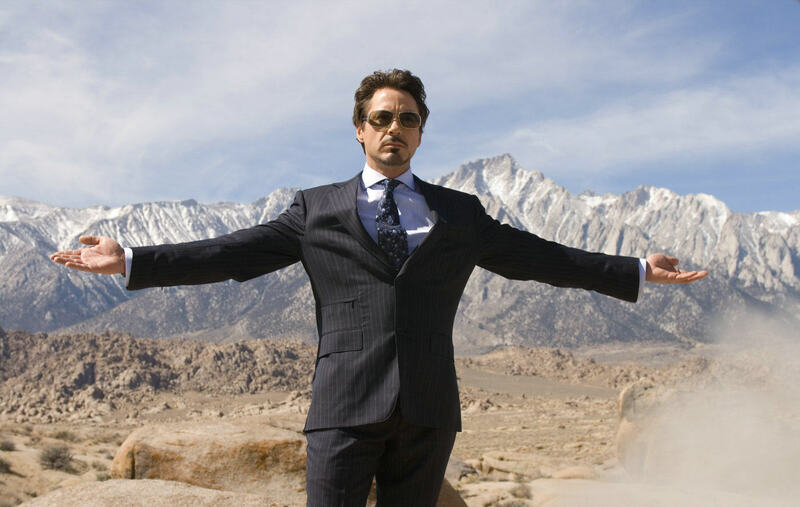 Its hero, Tony Stark, is a defense contractor who, as the film starts, is hawking his new missile in Afghanistan, when he is captured and tortured by a terrorist group who might as well be the Taliban. Working in secret, he turns himself into a human weapon and escapes, but the real turning point in the film comes when he discovers the impact of his work – the towns and families that his missiles have destroyed. He returns to his multi-billion dollar defense corporation disillusioned with the business of manufacturing weapons, and he is forced to do battle with a greedy co-worker who wants to keep funding the enemy. In the end, Iron Man is a patriot who has no problem battling terrorists who hate us for our freedom, but he illuminates the perpetual wars of the 21st century, in which private industry benefits while innocent people suffer.